Our Monsey, NY eye clinic serving Airmont, Pomona & Suffern, led by Dr. Goldstein and Dr. Tzvi Gottesman, uses sophisticated diagnostic and management tools and techniques to provide you with the most advanced vision evaluation and correction, to suit your lifestyle and needs. The personal eye care service we provide at our office in Wesley, and the caring relationships we build with our patients are sources of great pride to us at Wesley Eye Care. We are sure that Drs. Goldstein and Gottesman, and the entire dedicated staff, will keep you seeing well and looking good. Dr. Goldstein attained his degree in optometry from the Pennsylvania College of Optometry in 1984 after attending Brooklyn College. 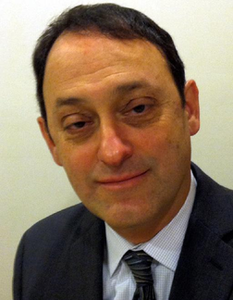 He has been practicing in Rockland County since 1988. In 2006, Dr. Goldstein and Dr. Gottesman combined their practices to provide patients in the greater Monsey area with increased availability, deeper experience, and a wider scope of services. Together, they have developed Wesley Eye Care into a comprehensive family practice for patients of all ages, offering the most current array of diagnostic testing and therapeutic services for both routine and emergency eye care needs. Dr. Goldstein has extensive experience and a special interest in the latest in contact lens care. He uses the most recent lens designs and innovations which include multifocal, astigmatic, gas permeable, and hybrid contact lenses. Treatment with lenses of corneal disease, such as keratoconus, is also available. Our office maintains a large inventory of contact lenses lending to “same day service,” in most cases. Dr. Goldstein also attends to patients with eye disease in his position as a staff optometrist at the Northern New Jersey Eye Institute. This includes the diagnosis and treatment of glaucoma, diabetic retinopathy, cataracts, as well as emergency conditions like infections and accidents to the eye. Dr. Gottesman has been practicing Optometry since 2002 when he graduated with honors from State University of New York College of Optometry. After his extensive training in Primary Eye Care, Pediatrics, Glaucoma and Contact Lenses, he began working in private practice Clinical Optometry. He then opened Pediatric & Adult Eyecare in 2004 based out of his home office. As the practice grew, Dr. Gottesman merged with Dr. Bruce Goldstein to form Wesley Eye Care Associates in 2006. Together, they provide the full gamut of optometric services to their patients. 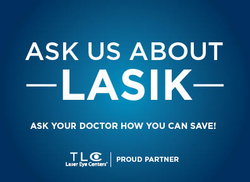 As an affiliate of TLC Laser Eye Centers of White Plains, North Jersey and Manhattan, Dr. Gottesman has been co-managing LASIK and other refractive surgery procedures done their surgeons. He also maintains a network of sub-specialty eye care providers for Pediatrics, Retinal Disease and Cataracts as well as medical care and other providers. 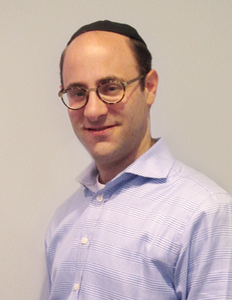 Additionally, Dr. Gottesman is a staff optometrist as Ezras Cholim Health Center in Monroe, NY. With his expertise in Optometry, a flair for eyewear fashion and a desire to provide the best eye care experience possible, Dr. Gottesman looks forward to serving you for all of your eye care needs.